The tumultuous and momentous sitting of the first Dáil a century on is being marked all over the country. It reminds us that far from being behind us, history walks alongside us every day. Then as now, the significant relationship between ourselves and our nearest neighbour is in sharp focus. There is a neat role reversal; 100 years ago Ireland was trying to break away from empire, while today it is Britain that is seeking to sever links with what it sees as a confining and bullying relationship. Yesterday, the Houses of the Oireachtas organised a joint sitting of the Dáil and the Seanad in the Mansion House, where a collective motion recommitting to the ideals of parliamentary democracy was read. 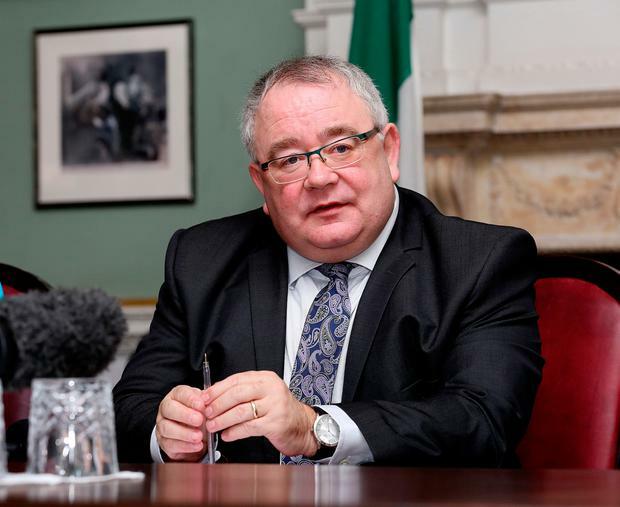 Significantly, Ceann Comhairle Seán Ó Fearghaíl took the chance to welcome those from other EU nations. We will need them in the days ahead as consternation continues in Britain, and Theresa May remains in thrall to the DUP. The first Dáil set the seal on our commitment to democracy and fairness. Then, as now, our State faced challenges; social division, poverty and inequality. Much of the early chapters of our story as an independent nation were written in blood. No matter how intractable, we resolved to find peaceful solutions; even as the triggermen attempted to revive grisly spectres of the past. The principle of consent is now the cornerstone of relationships on our island. Mrs May is now boxed in between her own red lines, and the crimson ones drawn by the DUP. Yesterday she delivered her long awaited “Plan B” which looked uncannily like “Plan A’s” lost identical twin. She has resolved to consult – again – with colleagues, with the intention of bringing her conclusions back to the EU. The prime minister still refused to rule out a ruinous no-deal scenario, and will not give a commitment to a customs union. No matter how eloquent the case, a return quest to Brussels in pursuit of the unobtainable seems stubbornly obtuse. To borrow a phrase from Mitch McConnell: There is no education in the second kick of the mule. As the clock ticks down, it must be hoped the UK parliament can end the impasse.